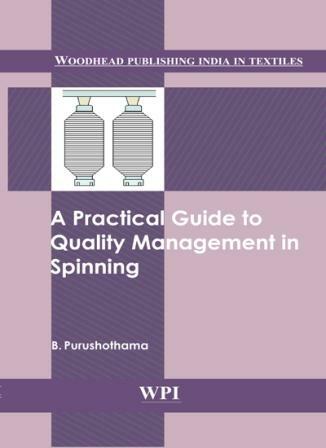 A Practical Guide to Quality Management in Spinning begins with the concepts of quality management system and then the objectives of product. The book explains the concepts of product objectives and the impact of product features at customer’s end. To produce good quality, one needs to take action at the source of generation of poor quality. Hence the reasons for getting poor quality is discussed in details with four angles viz. the raw material, the work practices, the machinery conditions and adapting of appropriate technology. The process-wise nonconformities are normally observed and the normal complaints from the customers are then discussed. In order to achieve the required results, monitoring the processes with suitable control points and check points are essential. These are discussed in detail. The book will help the shop floor technicians as a practical guide and will be useful for students who want to become a spinner.